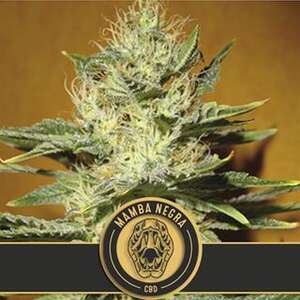 This new Mamba Negra CBD Rich by BlimBurn seeds is a cross between Critical Mass, and a skunk strain. large buds and central colas. Great for outdoors as its pest resistant. 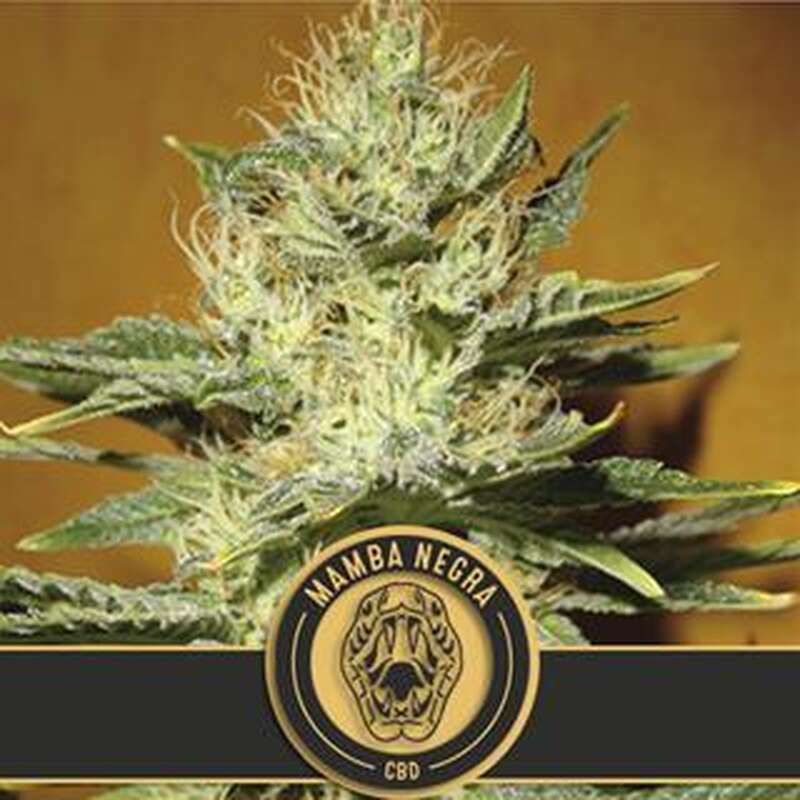 Mamba Negra strain with a high content in CBD from BlimBurn seeds is a cross between the 2004 Highlife Champion, Critical Mass, and a very fruity, red-haired compact skunk strain. It is a great producer, producing very uniform plants with large central colas. The buds are large, compact and extremely fragrant with strong hints of fruit that give both a physical and cerebral effect. Mamba Negra also grows very large outdoors where it flowers early and shows a good resistance to mould.